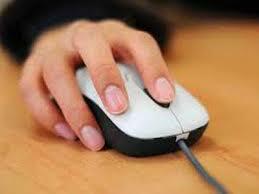 BNI of the Heartland: WHY DO I NEED TO LEAVE THE HOUSE, WHEN I CAN JUST SIT AT HOME AND CLICK THE MOUSE? WHY DO I NEED TO LEAVE THE HOUSE, WHEN I CAN JUST SIT AT HOME AND CLICK THE MOUSE? In a time where everything you do is online, do you really need to leave your house? Is there still a need for networking? I mean we trust everything the internet tells us, right? My business income will just appear, and I don’t have to talk with anyone. We know this is not true, and everything on the internet is not correct. After 31 years of experience, BNI members understand that growing their business via referrals is much easier than cold calls. But since we can do so many things online, it is hard to leave the security of our shell. Recently, I saw a new service where you can buy your groceries online and then they will either deliver them for a fee or have them ready for you to pick up. This is very convenient, but have you ever run into a friend or co-worker at the store and it turns into a referral for yourself or a fellow BNI member? Are we losing the personal touch? Will we still attend a concert, a sporting event, a conference or will everything be done online. Not only are we missing the human contact, but the story, and the story is what makes everything memorable. How can you network and grow your business when you sit at home attached to your device? If you are sitting behind your computer or on your mobile device, and not looking around you, how are you going to have the person someone needs when you don’t even know someone needs that person? Many members I have met tell me that BNI has pushed them outside of their comfort zone, and made them do something they normally do not do, such as speak in public. I recall a member telling a group, she hated going and speaking, but she knew it was best for her business and just kept at it. She now enjoys going to the meeting and is grateful for the increase in her business. Her business advertising is all word of mouth, and BNI is the perfect fit! So what can we do, so this does not happen to us? One, is to join a BNI Chapter, which you already have done. Second, is to keep getting your name out there by attending other events. This can be BNI related or not, and an example is attending a ribbon cutting for the Chamber. I know that a group tried to meet online for networking but it did not have success. Many times I have found the 15 minutes of Open Networking the most valuable part of the BNI Agenda. How many times does someone have to get everyone's attention at the meeting as we are so engaged in conversation? Meeting in person and building relationships is the key. How many times have you used your computer and had to key in a code so they know you are an actual person? Meeting in person with others has so much value. As we look to grow our business, we look to add members to our Chapters by sharing with visitors and potential members about the BNI process. How we follow an agenda, that is constant week in and week out. I want us to reach out. My challenge to you is to reach out to one business person you work with about visiting a BNI meeting. Just think of the member that invited you, have you thanked them? You know what it has done for you, so let's share that with others. So if you have a fire at your house, do you want the fireman to come out or just appear via the web? No, you want them there and you want them there now. When there is breaking news, who is there but a news reporter and they are interviewing you live. It is the personal touch that makes the story and it reaches all of us. So share your personal BNI Story with someone today.